Hope you are enjoying a nice evening. 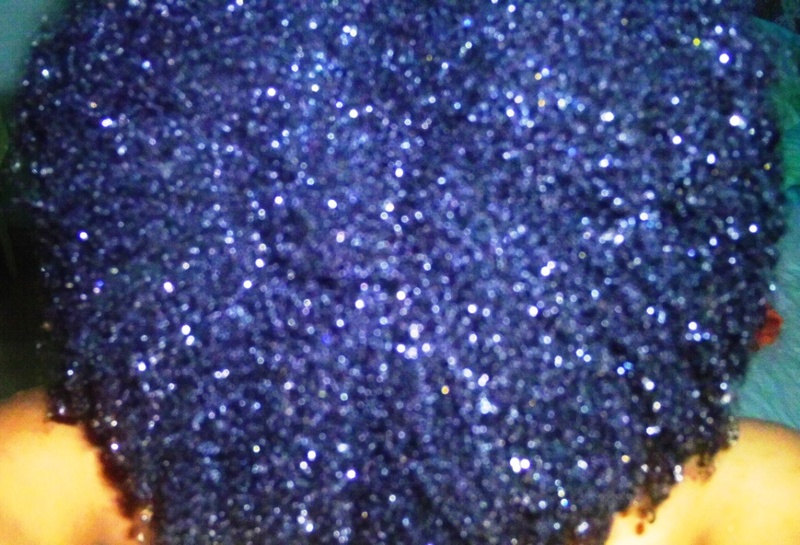 Freshly washed 4C tresses, as you can see, she has started to really hang a bit as long as she is soaking wet, in about 20 min, will all be gone. Here is what she looked like 9 months ago, to see, please click here. Now, I did notice something, was traveling for about 7 weeks and she did not grow, nopee, NADA, not even a centimeter but partly was my fault, did not moisturize as I do at home, she did not adapt well to the water changes and was having to much fun to really sit down and wash and detangle properly, yes I know, terrible right, so no growth, shedding was a bit too much also but that is because have not been doing my tea rinses, kinda hard when you are traveling up and about but am back home and in back in business 😀 😀 😀 !!!!!!!!!!!!! 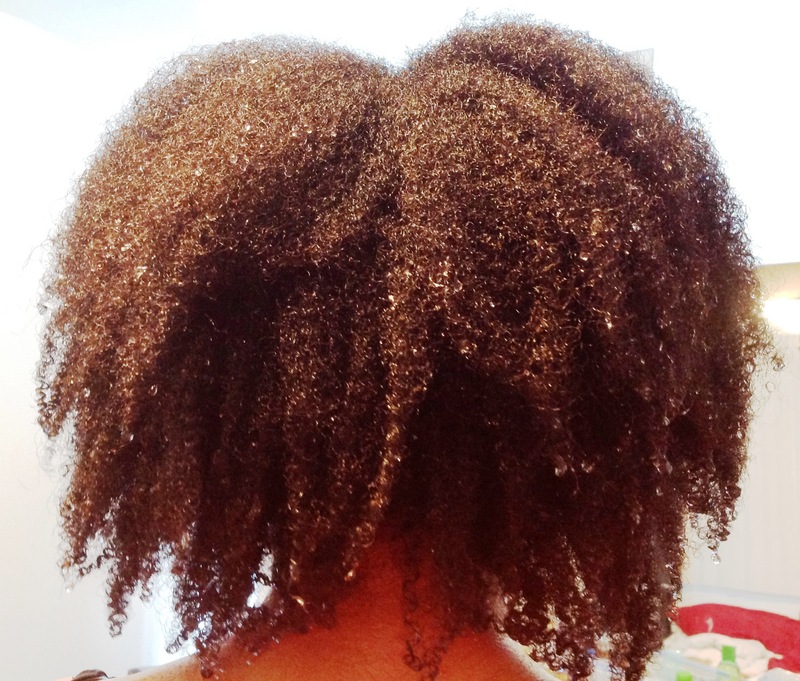 Today – Sprayed hair lightly with H2O and twisted hair (about 20 two strand twists) with Coconut Oil and oiled my scalp. Method every other day in Morning or at Night (whichever is necessary) so my tresses can remain fully moisturized. Twist hair in 20 two strand twists with Lucky Hydrating Conditioner & Olive Oil mix (1/2 of Condt. & 3 TBSP of Oil). Wash hair, mainly scalp with VO5 Shampoo, then do a warm Black Pekoe Tea rinse( 3 Tea Bags in 6 cups of water). 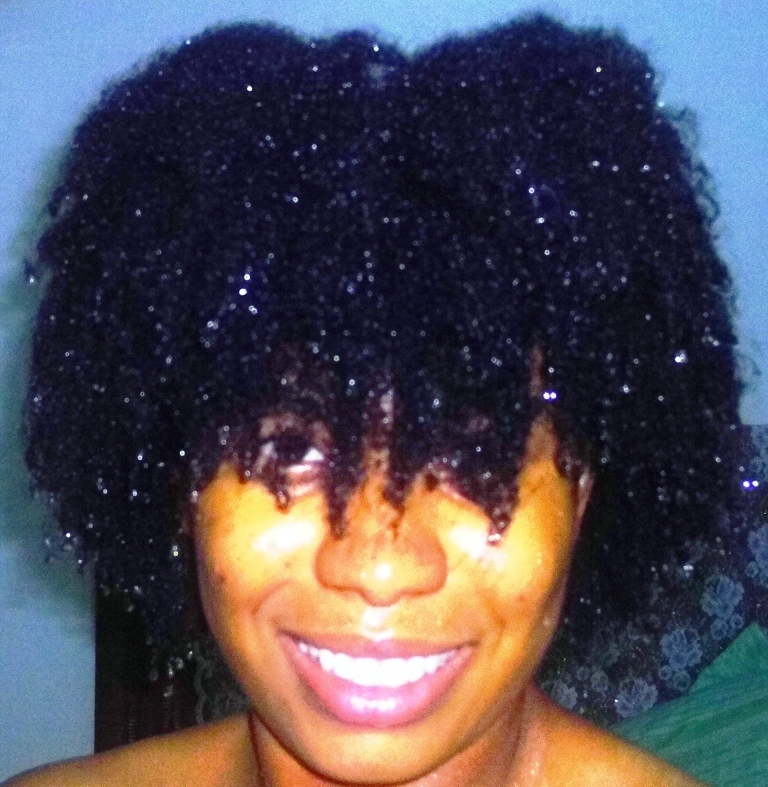 Fully rinse out hair with cold water, will then apply about 2 TBSP of Coconut Oil, focusing on scalp and ends. 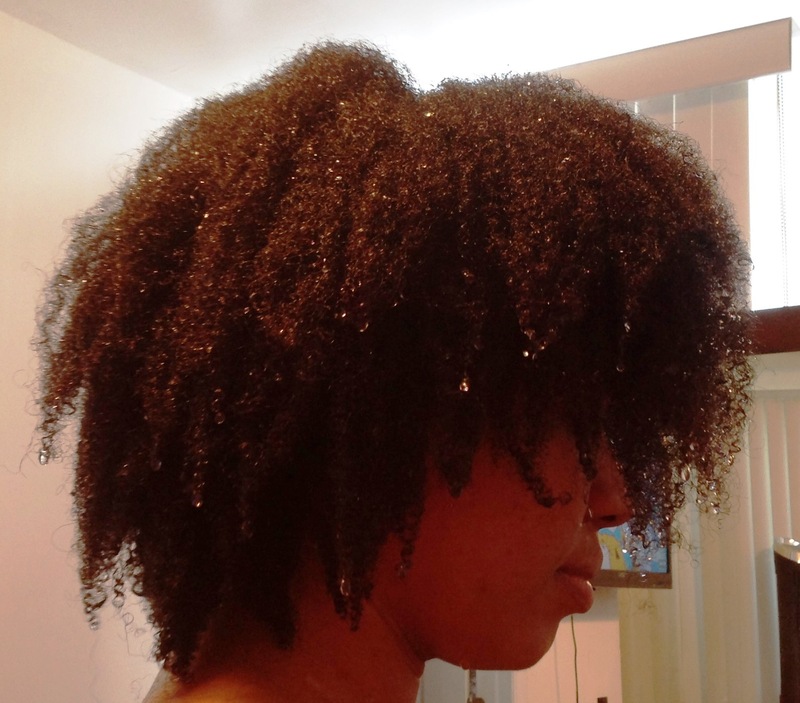 Proceed to finger detangle and comb hair into 20 to 30 large twists with my conditioner mix (Tresemme & Coconut Oil) and seal ends with coconut oil. Wash hair, mainly scalp with ACV Rinse, then do a warm Black Pekoe Tea rinse( 3 Tea Bags in 6 cups of water). Proceed to finger detangle and comb hair into two strand twists with my conditioner mix (Tresemme & Coconut Oil) and seal ends with coconut oil. Method every other day in Morning or at Night (whichever I feel is necessary) so my tresses can remain fully moisturized. To see at 1/2 inch of growth. 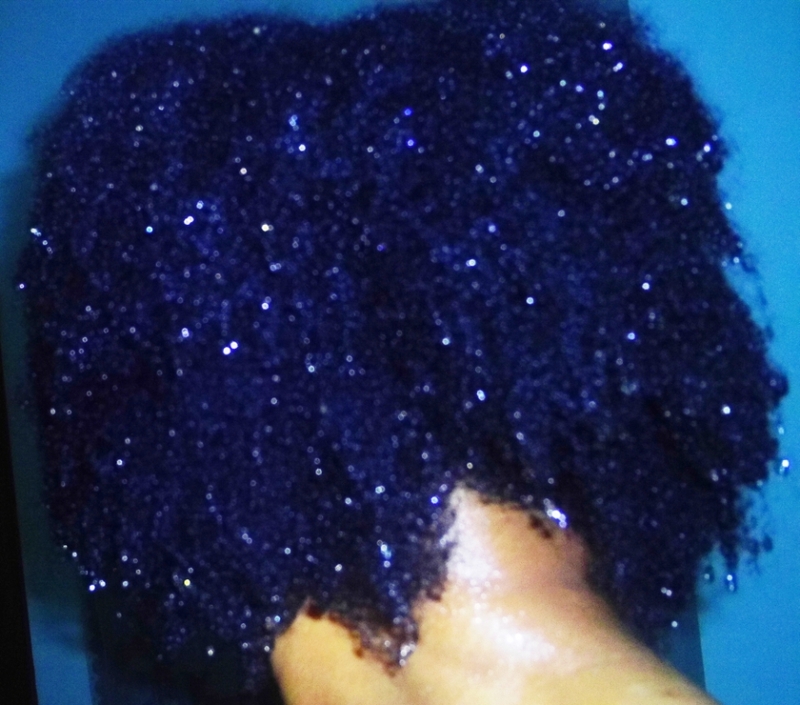 Hair that is better moisturized. Be accustomed to moisturizing my tresses daily. Thank you Lovely Girls for reading & Many Many Smiles!!! 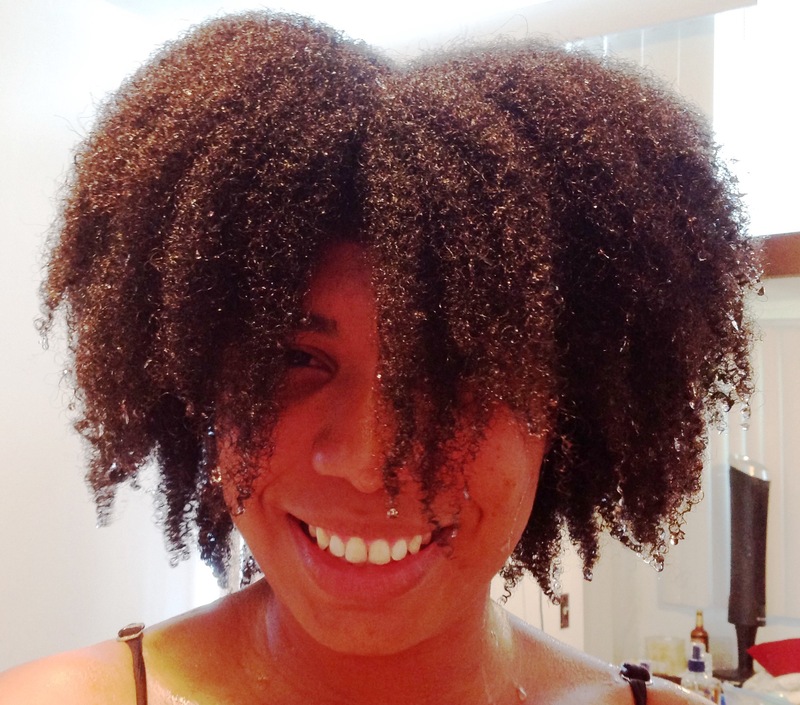 These posts will be about crazy pics of my hair texture with no product applied, because sometimes, you just gotta have some fun!!! SO here are 3 pics of my freshly washed hair. Thanks for reading, have fun in your personal hair journey and take crazy hair pics!!! !